Commercial fisherman, Howard Ulrich, and his 8-year-old son, anchored their boat in a quiet cove at Lituya Bay, an inlet in Glacier Bay National Park and Preserve. The MV Edrie had been rocking them sleepily for a few hours until Ulrich was awakened to waves violently slapping their vessel to-and-fro. He recognized the familiar rumbling of an earthquake and it slowly died away, leaving a pall over the bay. From the deck of the Edrie, Ulrich peered starboard through the evening mist at the spruce trees climbing the steep mountainsides. To port, sheer rock cliffs bordered the shoreline, and past the Edrie’s stern, Cenotaph Island lay in the bay like an undisturbed sleeping bear. Beyond Cenotaph, seven miles inland near the headwaters of the bay, lay the mighty, creeping Lituya Glacier. Ulrich breathed easy for a few seconds, thinking that the worst was over — but a sustained cracking sound thundered across the bay. Ulrich glanced at Lituya Glacier just as a splash “like an atomic explosion” blistered the glacier’s toe, sending a slow-motion wall of water surging through the bay. The 8.3 earthquake had split off 40 million cubic yards of rock and ice, formerly clenched to the glacier. Mall-sized shards had fallen 3,000 feet and struck the water like meteors. The skipper throttled up the engine and tried to winch up his anchor — but the anchor tines held fast to the seabed. Ulrich free-wheeled the windlass to slack up the anchor line, then swung the Edrie’s prow toward a wall of water deluging Cenotaph Island. The growing swell approached them at 70 miles per hour. Ulrich and his son stood in the wheelhouse waiting, watching the ocean fist grinding the shoreline clean of rocks, moraine, and old-growth spruce trees. Debris engraved a ragged watermark–higher than the Empire State Building — on both sides of the steep-sided bay. A terrifying roar signaled the tsunami’s arrival at the Ulrich anchorage. The wave sloped upward like the neck of a giant seahorse — curling 70 feet higher than the Edrie — but instead of crushing the cabin, it suddenly slid beneath the boat like a giant open hand! Ulrich and his son held tight as they “rode an elevator” up the front edge of the wave to the frothy crest. The anchor chain snapped like a string and the wave began carrying the Edrie toward shore. Ulrich navigated past treetops and floating debris, waiting for the tsunami to wreck his boat atop jagged slivers of timber and rocks — but instead, the wave abruptly reversed course! In a providential current the Edrie surged back to the bay again where it settled in a backwash of ocean. Ulrich and his son stood in stunned silence, watching 20-foot waves die against the shoreline. In 30 minutes, Lituya Bay had calmed to a silent roll and sway, and father and son floated safely in a graveyard of ravaged flora. 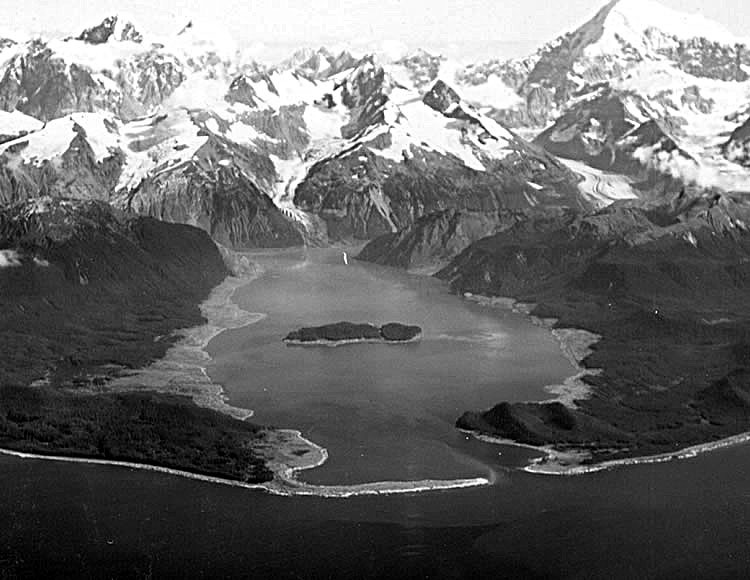 The 1958 Lituya Bay megatsunami had generated the highest wave ever recorded. Had the Ulrich’s anchor chain snapped an instant sooner, the wall of water would have rolled the Edrie. Had the chain snapped a moment too late, the wave would have swamped and crushed the wheelhouse. In God’s perfect timing, the Ulriches caught an elevator ride to the top of the wave and “surfed” above the trees. God knew exactly when the wave would lose its energy, and reverse direction to carry the shaky Ulriches to fathoms of calm. Often in our emotional tsunamis, we feel the anchor chain snap — which is our signal to hold on tight and trust God! The Holy Spirit knows exactly how to position our vessel on the crest of the wave, and set us safely in fathoms of calm. Lord, we pray for self-control as we stare at the wave, and we commit our vessels to your powerful, loving care. January 2, 2015 in Personal Path.